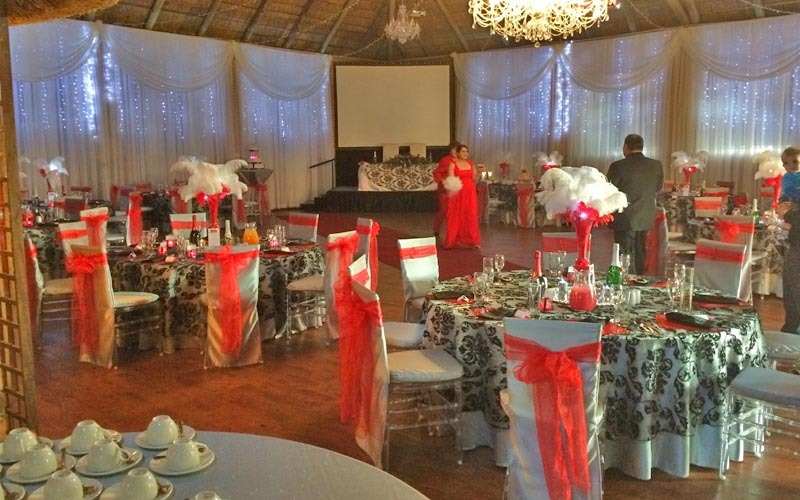 Will Chris Estate is Witbank’s premier wedding venue with numerous venues for hire from large and small banquet halls, to various garden rooms and garden tents for those dreaming of a romantic lake side garden wedding..
We have two halls and various garden rooms for hire including our Grand Banquet Hall, a smaller, more intimate space for smaller functions as well as an expansive sub-tropical garden featuring mature palms and exotic tree ferns. 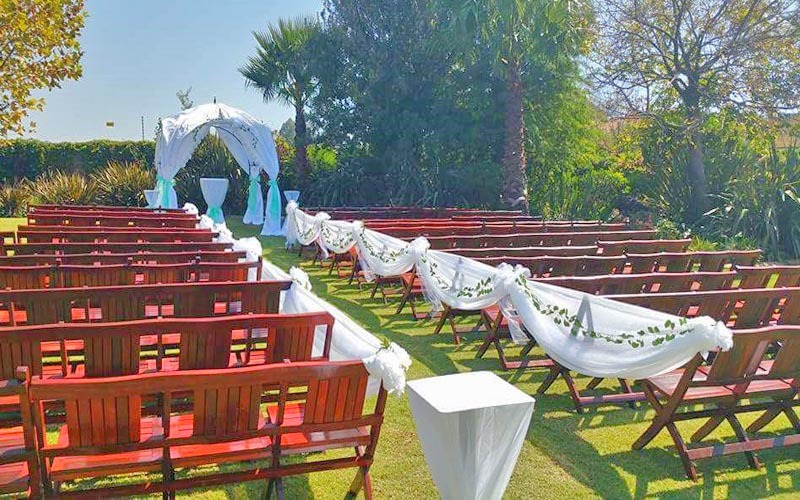 The bridal couple and their guests also have numerous amenities at their disposal including a separate bridal suite where she and her entourage can get dressed for the big event as well as a groom’s room where the groom and best men can get dressed in private. 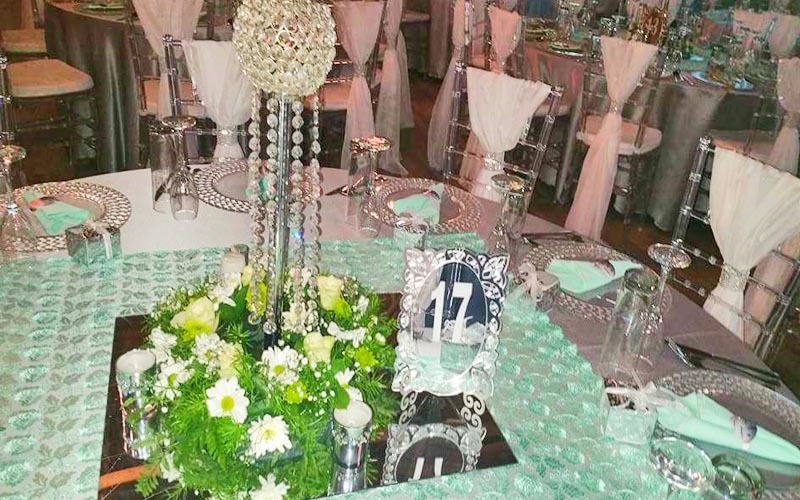 Seating capacity for up to 400 guests with decoration and menu options limited only by your imagination.